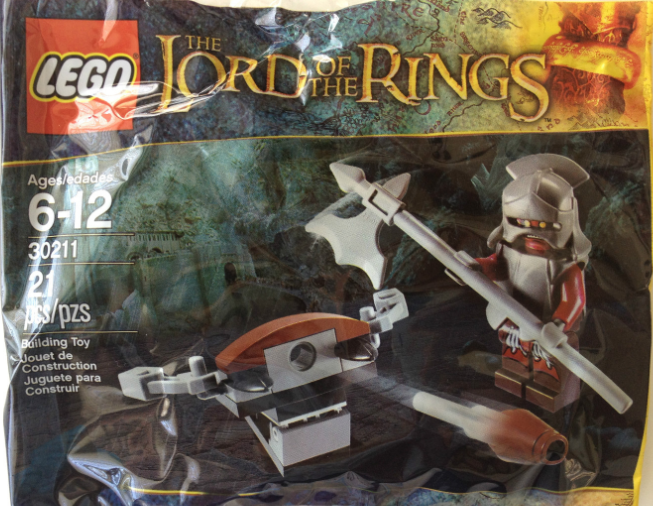 Uruk-hai with Ballista is sadly vastly inferior to its fellow Lego Lord of the Rings polybag, Frodo with Cooking Corner. While the other features a charming set of friendly alcoholic undertones, Uruk-hai with Ballista is simply... an Uruk-hai with a little ballista. It's pretty pointless, since you can get these same pieces in higher quantities in the Uruk-hai Army and Battle of Helm's Deep sets. But this lil polybag has been quite popular as an army-builder for people who really want ten thousand Uruk-hai to attack the Hornburg. The Avengers ruined Spider-Man for me.